What is the Best Rheumatoid Arthritis/Diet Plan? Home/infusion Therapy, Rheumatology/What is the Best Rheumatoid Arthritis/Diet Plan? Any who suffer from rheumatoid arthritis (RA) know one thing: They will do nearly anything to ease the pain and discomfort associated with RA. Inflammatory arthritis is one of the most debilitating and painful disorders a person can suffer. Finding the right treatment plan takes time but many have found that by changing their diet, they are able to obtain considerable relief. This is especially so when combining a better diet with medications. So, what is the best rheumatoid arthritis diet plan? Before answering, a broad understanding of the causes of arthritis and which foods/substances irritate the condition is in order. Arthritis is simply an inflammation or swelling of the joints. Arthritis can affect one or more joints and depending on the severity, can be very painful and debilitating. Although common, largely affecting persons 65 and older, there are more than 100 types of arthritis which can affect anyone. 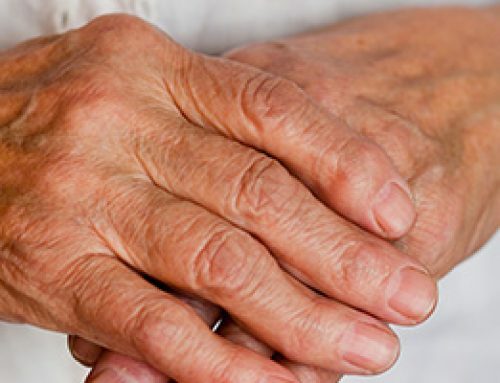 One of the most common forms of arthritis is rheumatoid. RA, as it is commonly called is unusual in that it is an auto-immune condition. As such, a person’s own body is responsible for the swelling and pain because the immune system is attacking healthy tissue as if it were unhealthy. Naturally, RA requires a very different approach to treatments than with osteoarthritis or another form. Yet, an approach common to all forms is dietary changes. No. At present, there is no cure for rheumatoid arthritis. However, in the last two decades, numerous medications have been approved by the FDA for treating symptoms and slowing the degeneration of joints common to RA. Researchers have, however identified several things to help arthritis sufferers as well as several foods and substances to avoid. Likewise, the Internet is full of recipes and suggestions from those who suffer from rheumatoid arthritis around the world. Some of these have recommended smoothies as an easy way to get the nutrients which help. Many today are recognizing the role diet plays in many conditions, including rheumatoid arthritis. Although research continues into the effects of proper nutrition on various diseases and conditions, there is little doubt that heart disease, diabetes, high blood pressure, stroke, osteoporosis, and cancer each has a dietary component. Understanding this connection could be the path to cures and treatments, so anyone currently affected by any of these conditions would do well to consider the role of diet in their treatment. Foods to avoid with arthritis are numerous because many of them have become staples in our diet. Many of the same foods and substances which contribute to other serious conditions such as heart disease and cancer, have a negative impact of RA. Although no single product can be said to be responsible for rheumatoid arthritis, those who suffer have found that by cutting these things out of their diet/daily consumption helps provide relief. Yet, cutting some of these from daily use can be difficult; consuming a poor diet becomes a habit which must be broken. The key to success in developing new, better habits is replacement. This means, replace old habits, old foods, with new. In order to replace old dietary habits with new, a person must have the tools necessary. One tool is knowledge. Addressing only the dietary elements of rheumatoid arthritis, one of the simplest ways to alter diet is to switch to whole foods high in vegetables. Note that the previous list showed processed foods and those high in refined flour and sugar as culprits in causing harm to those with RA. Although the connections are not yet clear, researchers know that processed foods strip many of the vitamins and nutrients needed for good health from the food. The best way to ensure the body is getting these nutrients is to provide it with whole foods whenever possible. For many, this will require a new way of looking at food and food preparation. Yet, when the pain gets to be enough, many with rheumatoid arthritis do just that. Each of the above foods have been found to have properties which are beneficial to anyone suffering from inflammation of the joints and the joint pain associated with arthritis. However, as with any food, balance is recommended. Also, before changing your diet or adding any dietary supplements to your daily intake, be sure to discuss these with your Kymera physician. Too, remember that whole foods will provide relief, so eat apples with the peel, try more veggies raw, and stay away from anything processed. Look for vegetables high in antioxidants as these have been found to provide additional relief to arthritis sufferers. Rather than provide an arthritis diet plan, the goal of this article is to help readers understand which foods and substances are harmful and which are helpful. A later article will discuss why this is the case. Along these lines, it should be noted that regular exercise will also help. Exercise helps by strengthening the joints while helping them remain lubricated and moving properly. However, be sure to discuss any exercise plans with your Kymera physician before starting. 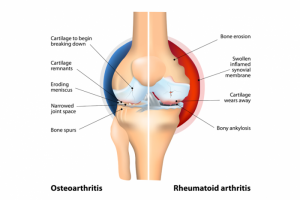 How Does Rheumatoid Arthritis Differ from Osteoarthritis?